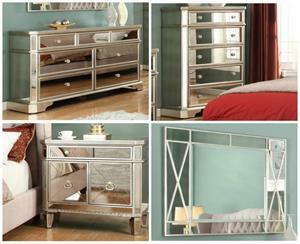 For a quick modern update to your home, this collection will add that trendy mid-century appeal. Coordinating case goods boast slim flared legs and recessed handle drawer pulls. 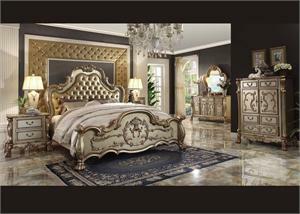 A choice of oval or rectangular wall mountable mirror completes this set. 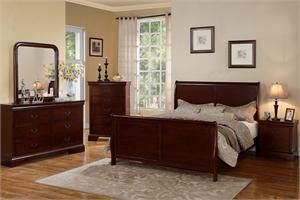 This bedroom collection is available in oak and grey color, with wood headboard or fabric headboard. Found something you like somewhere else? 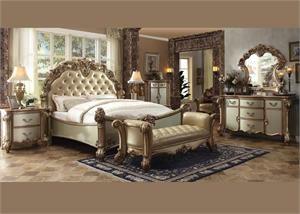 Send us MANUFACTURER & ITEM #and will get a better price GUARANTEED?